De Witte is a member of ISSA: The Worldwide Cleaning Industry Association. ISSA is a network of leading cleaning professionals that supports research into products, methods and services that are beneficial to the health index. It also organises conventions frequently and provides its users with an online platform, on which they can exchange ideas and relevant information. In this way, our company is always up to date with the newest market developments and trends. 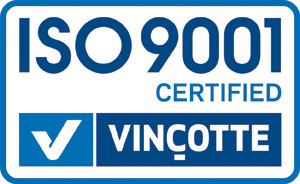 Furthermore, we are ISO 9001 (international quality management standard) certified. This means that we are constantly aiming at efficiency, customer satisfaction, transparent communication and an excellent service. Finally, our customers can be certain that they buy reliable products from us. 2019 is a special year for De Witte : we are celebrating our 30-year anniversary. What started as a small family business, specialised in the car(wash) sector with mainly brushes and handles in 1989, has grown into an established company with an extensive range of microfibre cloths, sprayers, dosing systems, etc.